Since our all-vegan Thanksgiving at my parent’s house last week we’ve been camped out in upstate NY attempting to get caught up on our video edits, blog posts, trip planning, and everything in between. In terms of what we need to get caught up on, we have the rest of NYC (a few days worth), Boston restaurants, Vermont, New Hampshire, and Montreal restaurants. Whoa! We have a backlog of all these posts to write, not to mention that some of them are accompanied by video interviews (which can take days to edit). Needless to say we’re still adjusting to the entire process. I think we also need to get better at scheduling days where we don’t eat at a restaurant we want to review, and we don’t travel, we just sit and write. We’re working on it. And we’re making progress. Learning every step of the way. It’s quite exciting actually. :) And I imagine as we head south and west we’ll encounter fewer vegan restaurants, which will leave us more time for writing not only about restaurants but about the entire experience. 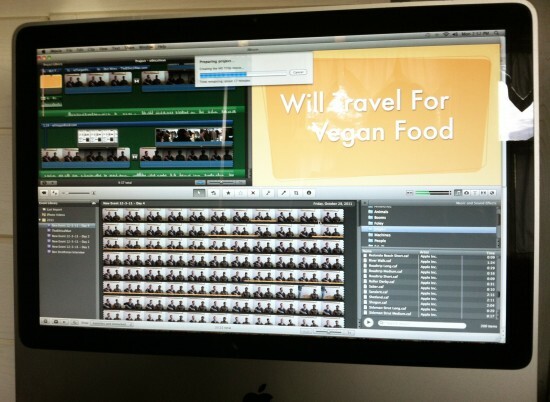 Editing the Dan Mims-The Ethical Man interview. As Ethan and I continue editing, writing, blogging, planning, etc. 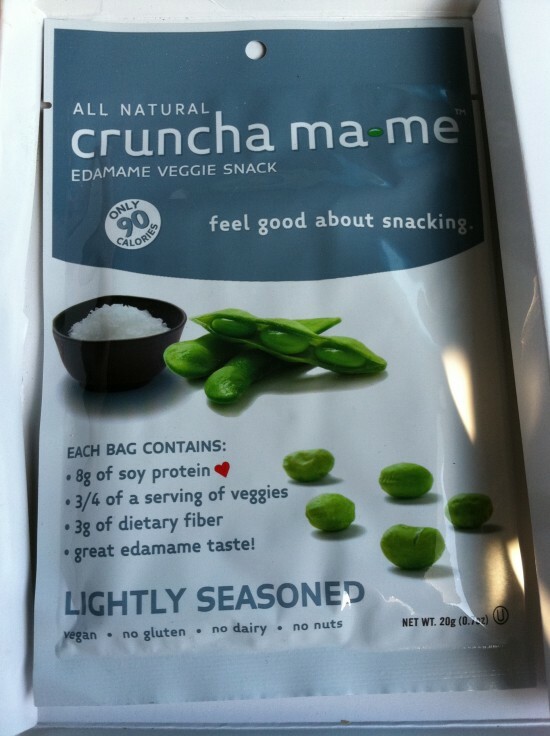 we’ve found a new snack that we quite love having around. It’s worked out great on the road AND when we’re in one place working on the blog and such. 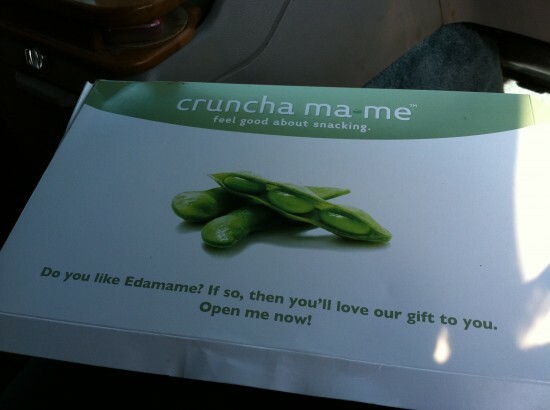 Cruncha ma*me! 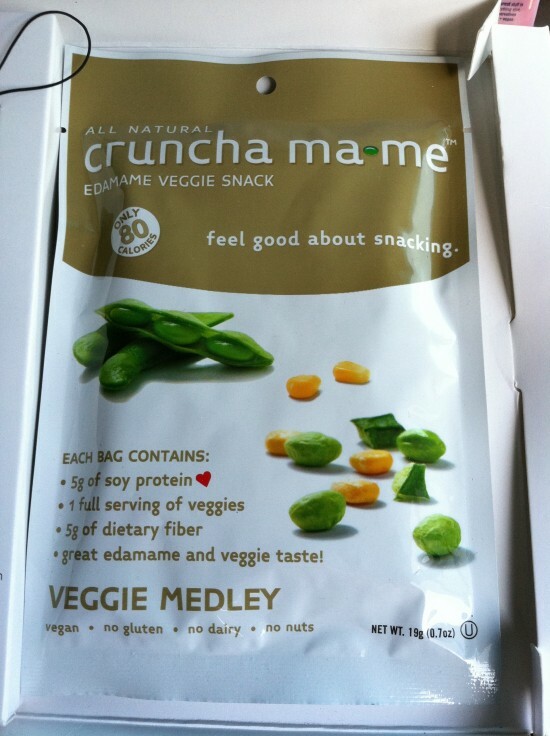 I only learned about this yummer recently but they’ve quickly become a favorite snack of mine. 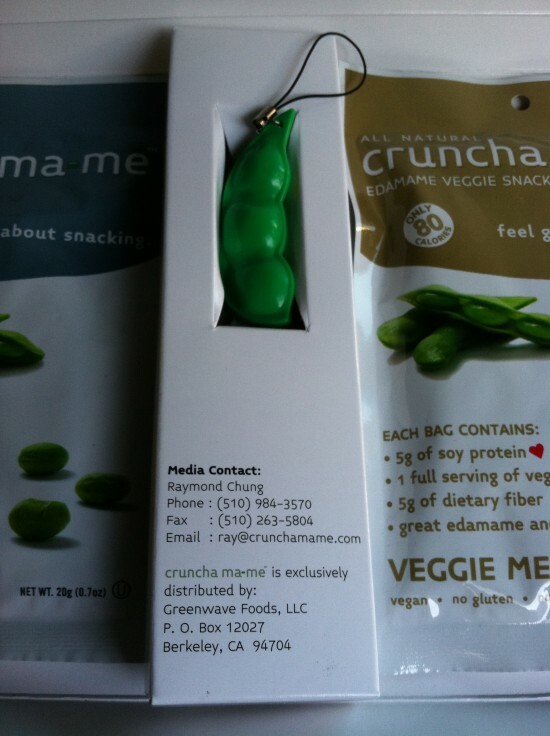 Cruncha ma*me is a “100% GMO-free, all-natural crunchy edamame veggie snack.” They have a few different flavors. 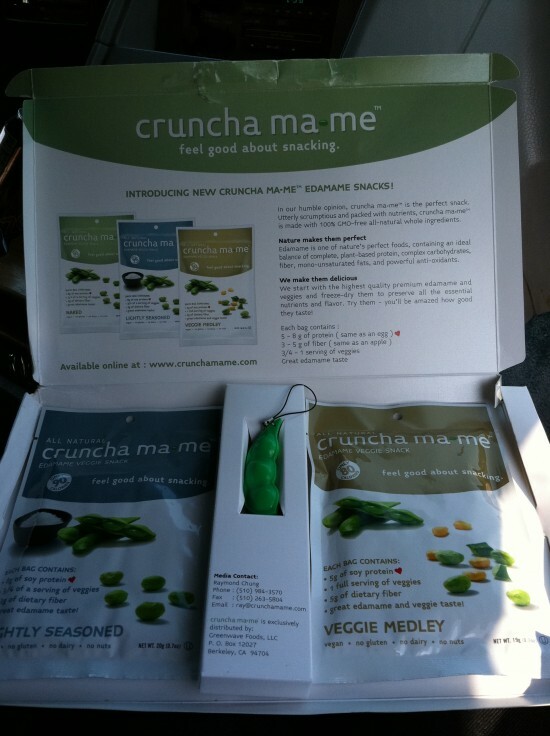 Our latest box came with “lightly seasoned” and “veggie medley.” It’s essentially freeze-dried edamame. And it’s delicious. That’s all for now. Om nom nom. yum yum! These look yummy! 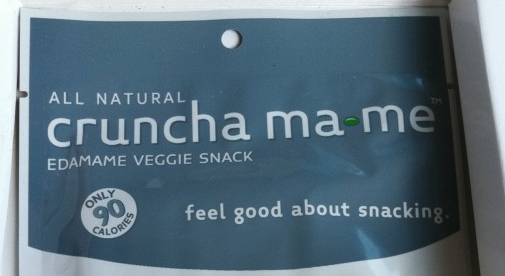 I like this idea of posting a snack or two that we can look for in our local stores! I can’t get to all the resturants you are reviewing, but I can do my part locally. Good luck editing and writing! 14 DAYS, 14 DANCES: a most epic DANCE-A-THON is happening right.now.